Children must be taught how to think, and not what to think. And what better way than to do it through play. “Children at play” is a much more profound activity than what the parents can imagine. Then again, they should know better, for having been in that exact same stage a couple of decades earlier, but it is easier to forget than to remember in the adult world. It is here that the concept of Loose Parts Play for preschoolers become crucial in their path of development. So what exactly is Loose Parts ? Loose Parts was a term coined by the architect Simon Nicholson in an article that he wrote for a Landscape Architecture Journal titled How NOT to Cheat Children – The Theory of Loose Parts where he emphatically declared about how “all children love to play, experiment, interact and have fun with variables such as materials & shapes, smells, media, sound, music, other people, animals, plants, words, concepts & ideas.” According to him, all these have one common factor – loose parts. More the loose parts in any environment (any environment that is directly in contact with a developing child), greater the inventiveness, creativity and sheer fun. Don’t our normal preschool environment carry enough toys & activity equipment ? They do, and that is exactly the point. All our toys and activity equipment that we provide for our children in their environments are mostly, for want of a better term, “goal-oriented”. Each toy or activity fulfill a self-limiting function of play/entertainment for the child, in a sanitised, clean and passive space that has all the inherent natural variables “surgically removed” from it. Yes, they do need their share of these, but what is more important for us early childhood educators need to understand and be active evangelists is to encourage non-goal directed play for our children in the great outdoors. Do elaborate on the great outdoors for play? Isn’t this something we already know ? Yes ! And what we have conveniently forgotten along the way. A stick in a child’s hand can be a royal spectre, a wizard’s magic wand, a flag pole, a rocket – anything the child’s imagination wants it to be and how the child makes it a delightful participant in his/her play. The crucial part for the adult is to facilitate the availability of the stick and to leave the child “safe” to travel in his/her imagination. 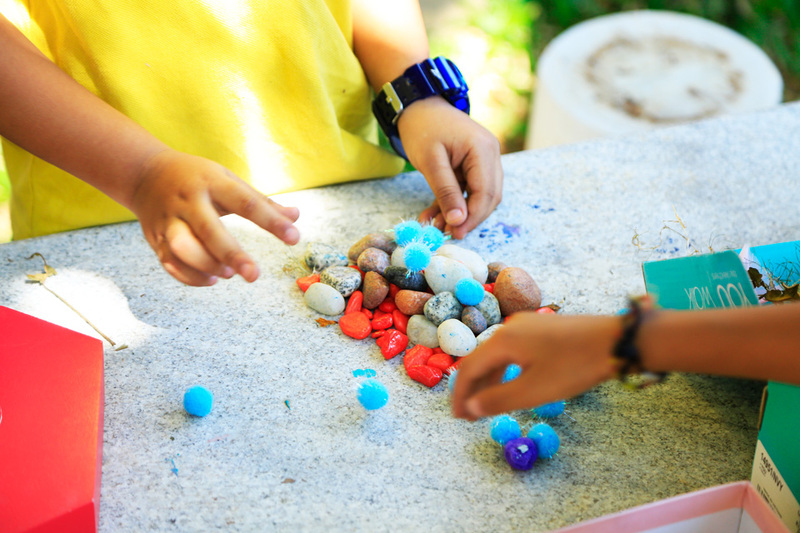 It is quite simple – the key is to let children be, with Loose Parts play. When children are encouraged to integrate play materials and areas in their own creative ways, they are experiencing open ended learning. How does Little Red Hen preschool facilitate Loose Parts Play ? 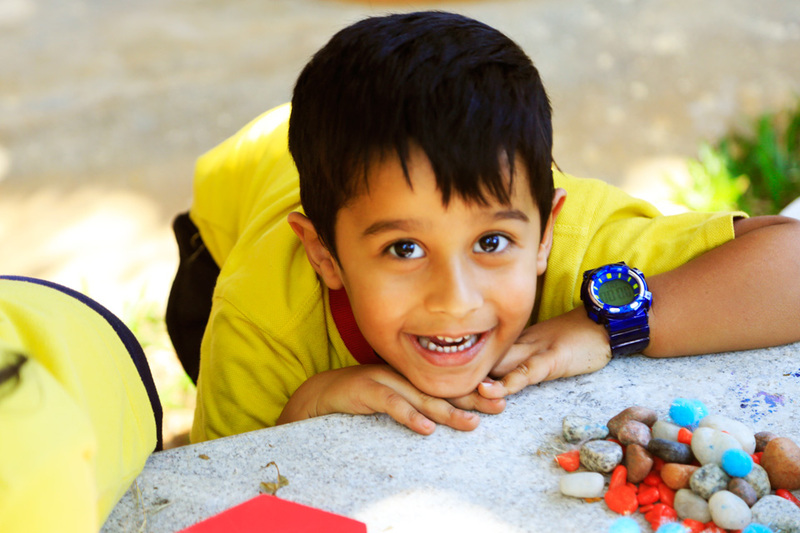 Little Red Hen Preschool’s preschool curriculum has been designed for children to develop skills such as divergent thinking, language, abstract thought, conversation, and problem solving. The outdoors that consists of a natural lawn area with regular playground activity fixtures and wide open spaces for Loose Parts play including a Sensory Path play an extraordinary (and no doubt popular) part in enhancing a variety of developmental skills as indoor play. It is a natural extension of our founding principles that our outdoor physical environment should be designed to support the full spectrum of children’s play, just like the structured play equipment that is provided indoors. Little Red Hen regularly publishes perspectives, notes and viewpoints on Early Childhood Development and discussions on relevant topics related to Childcare specialists through its News & Updates section. To get these important tips & perspectives on delivered to your email box, just leave your name & email address here.